A non-fungible token (NFT) represents ownership of something unique, which can not be interchanged or copied. Each is different therefore can be valued differently. As an example, cryptocurrencies e.g. Bitcoin or MANA, are fungible, in that the more Bitcoin you own the more value you hold. 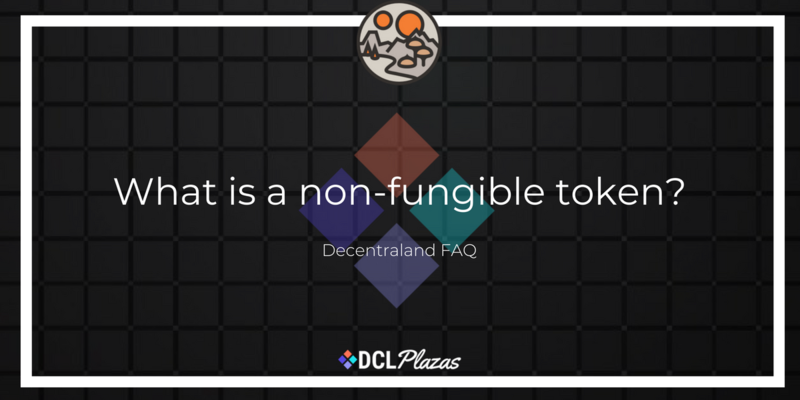 In contrast, non-fungible tokens are each unique in nature, therefore 1 NFT can be more valuable than another and the volume of NFT’s you hold may have little bearing on the value you hold. Generally, the more rare and scarce the NFT, the more value it may have. A perfect example of an NFT is LAND within Decentraland, whereby due to location no 2 LAND parcels are the same, nor can they be copied. NFT’s have adopted the ERC-721 protocol on Ethereum.